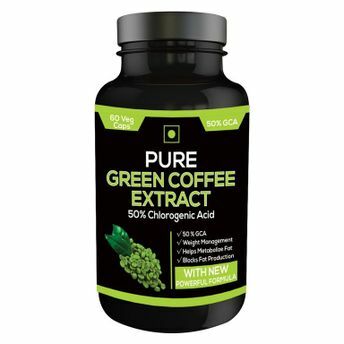 Pure Green Coffee extract contains 50% Chlorogenic Acid (GCA) which is highest in its class (highest quality/ concentration available on Amazon.in). 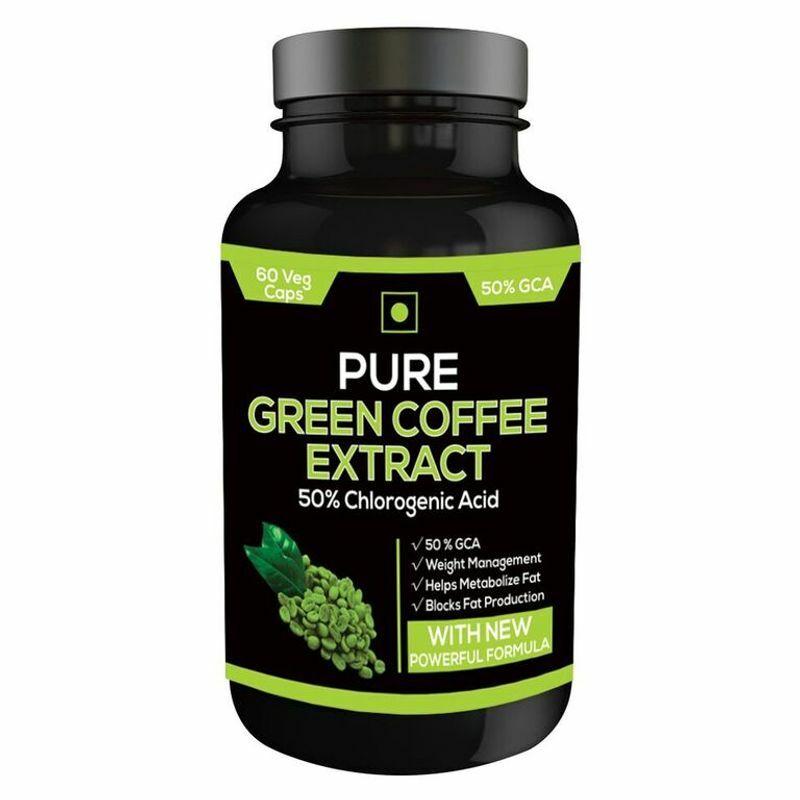 GCA is the main constituent of green coffee and a clinically studied weight management nutrient that has been shown to burn fat and support natural weight management *. Our product features concentrated Green Coffee Bean extract with no added artificial ingredient. Caffeine may reduce your desire to eat for a brief time, which affects the Calorie burning. Caffeine may stimulate thermogenesis. one way your body generates heat and energy from digesting food.